During Myanmar’s historic general elections in November 2015, the Myanmar Independent Living Initiative (MILI), a disability rights organization based in Yangon, worked to ensure that the elections were also the country’s most accessible and inclusive elections to date for persons with disabilities. In the post-election period, and with support from the International Foundation for Electoral Systems (IFES), MILI is now solidifying its progress with newly elected Members of Parliament and incoming members of the Union Election Commission (UEC), as well as uniting the disability rights community behind national-level disability inclusion goals for the next five years. After consultations with disability rights representatives from across Myanmar in early 2016, MILI is now finalizing a national disability rights policy platform, which highlights 11 goals that the disability rights community would like to accomplish in the next five years. The goals include increasing support for UEC’s inclusion work and ensuring that all persons with disabilities (including psychosocial disabilities) have equal access to the voting process. MILI is also developing a related toolkit for use by Members of Parliament, government institutions, and the disability rights community. The toolkit will be publicly released in summer 2016. All people worked hard to develop a system of democracy, and now it is important to work on the right and access of persons with disabilities. During the session, MILI followed up on the Vice Chairman’s comments by sharing the challenges that persons with disabilities can encounter in Myanmar and noting the public commitments to disability rights that Myanmar had previously made. Lastly, MILI is supporting Myanmar’s participation in regional conversations on disability rights. 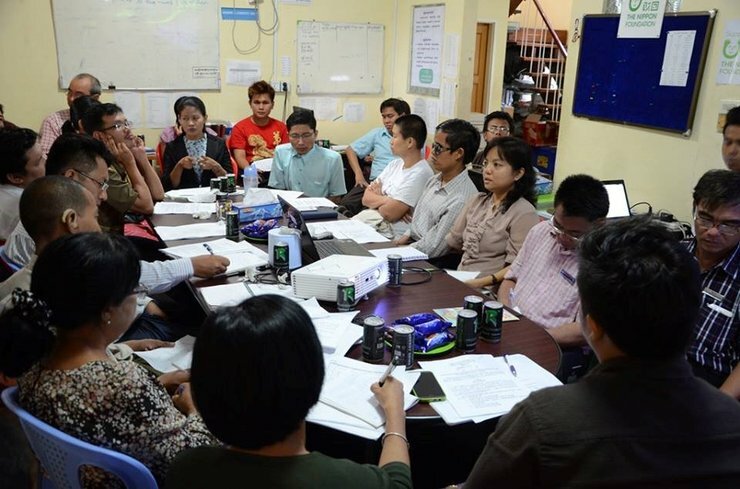 In May 2016, MILI hosted an all-day consultation with disability rights organizations to formulate feedback on the Association of Southeast Asian Nations’ (ASEAN) Vision 2025, a regional action plan for ensuring fundamental freedoms and human rights in Southeast Asia from 2015-2025, as well as feedback for the ASEAN Intergovernmental Commission on Human Rights’ (AICHR) draft regional action plan on disabilities. The input from the consultation will help shape the implementation of disability rights action plans in Myanmar and beyond.